It’s not uncommon for most people to lose sleep once they hear sudden noise, especially as we get older. Sometimes, the sound doesn’t even have to be that loud. I must tell you, noting is wrong with you, it’s not your fault, and there is a solution. The Massachusetts-based manufacturer rolled out the Bose sleep bud to help solve this seemingly simple, but very impactful problem. What does the Bose Sleep bud offer? 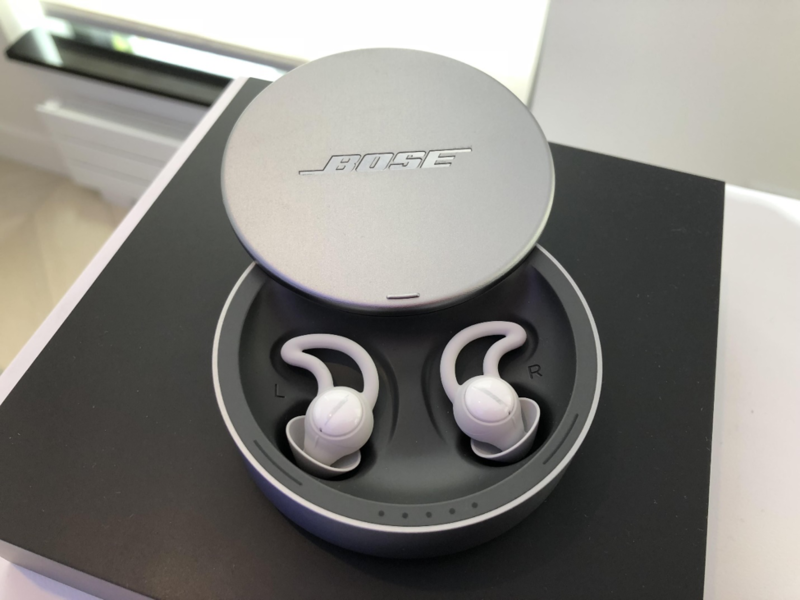 Bose sleep buds, instead of streaming music they deliver soothing sounds that not only cover unwanted noise, but also helps you fall asleep and stay asleep. Its wireless so it allows you move freely with no cords in your way. The ear buds are nodule and soft, and are designed with side sleepers, toss and turners in mind. Bose sleep buds has a charging case, which is convenient for storing and protecting your sleep buds. The case also provides one additional full charge when unplugged, travellers should love that. The batteries are rechargeable, and they last up to 16 hours while in use. It has wake up alarms that only you can hear, so you don’t disturb the person sleeping next to you. The specs suggest that these sleep buds are incredible. Imagine returning from a rough day at the office and its finally time for some peace; and you slide into your bed and slowly drift into your happy place, and boom it’s time for your wannabe rock star neighbor to practice and everything goes up in flames. The sudden noise alone is enough to make you lose weight, and in an unhealthy manner and we don’t want that. There is really very little you could do about such situations, but the Bose wireless noise masking sleep buds not only fixes that problem, but gives you even better sleep. Did you know that a good night sleep can keep you fit and healthy? That way, you are ready for the next day’s job. Sleepless nights are not manageable problems, they are problems that you have to fix. The sleep buds are designed for side sleepers and “toss-and-turners”, and in truth most people are both, its confortable, soft and most importantly they don’t fall off. Let’s talk about the charging, the rechargeable silver-zinc micro batteries provides up to 16 hours of use off a single charge, but that’s not all, the case also provides one additional charge when unplugged, so if you have noisy friends and travel with them a lot this is definitely for you. So no more noisy neighbor problems, no more traffic noise and no more waking up to an alarm that’s not yours. Gift your partner Bose Wireless Noise Masking Sleep buds, if not for him or her, at least for yourself. The only down side to the sleep bud is that it is a bit pricy, but for what it delivers, I think it’s all worth it.